In the aftermath of a big storm, it’s crucial to gauge whether your roof has experienced any damage. 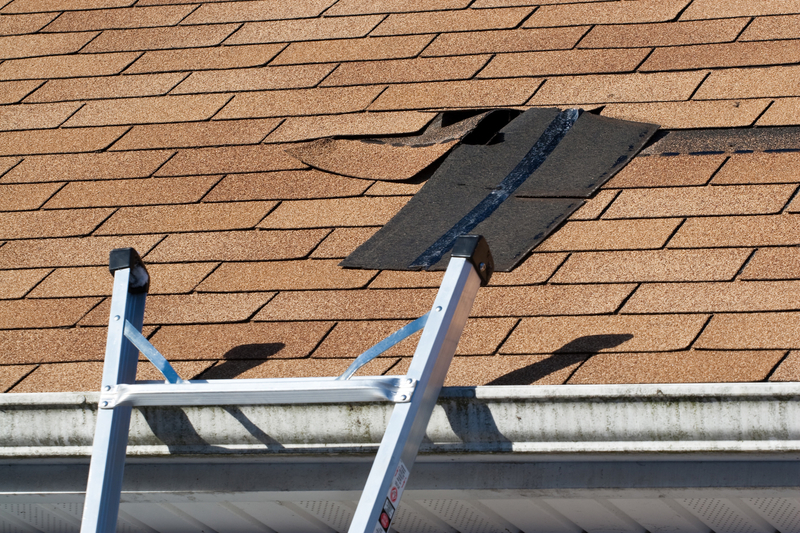 In the event there’s storm damage, you’ll need to quickly reach out to a roofing contractor. Knowing what signs to look for is crucial when assessing damage, which will keep repair costs lower and fixes less intensive. The most recognizable forms of storm damag e involve shingles. In some cases, strong gusts of wind may have completely ripped them off the roof. In others, they may still be moored to the surface but will have experienced chipping or curling. If that’s the case, you may find stray granules in your gutters. These damages can lead to leaks, structural damage and more. When the wind picks up enough speed, it can turn stray tree branches into projectiles. During some storms, those objects may smash different parts of your roof. If you notice any dents in your flashing, gutters, or chimney, it’s a sign worth inspecting for further damage. If a storm is strong enough, it has the capacity to tear open a hole in your roof. To check for this issue, make way to your attic and scan the room for any light shining through the roof. Also, if you notice pooling in your attic or water stains on your ceiling beneath your attic, this is a sign of surface holes leaking water into your house. If the breakage is big enough, you may be able to see it from your yard. If it looks like your roof may have gotten battered by a recent weather system, reach out to Capstone Bros. Contracting in Burnsville, MN. With over four decades of combined experience, the locally-owned and operated company has a wealth of experience repairing roofs afflicted with storm damage. You can set up an inspection by calling (952) 882-8888 or by visiting the roofing company’s website.